Over the last few weeks, Daniel has really grown in maturity. I am not sure if it's the pride of being 3, his new "responsibilities" as a big brother of an active toddler or just regular development. In any case, the last few weeks have been a breeze. 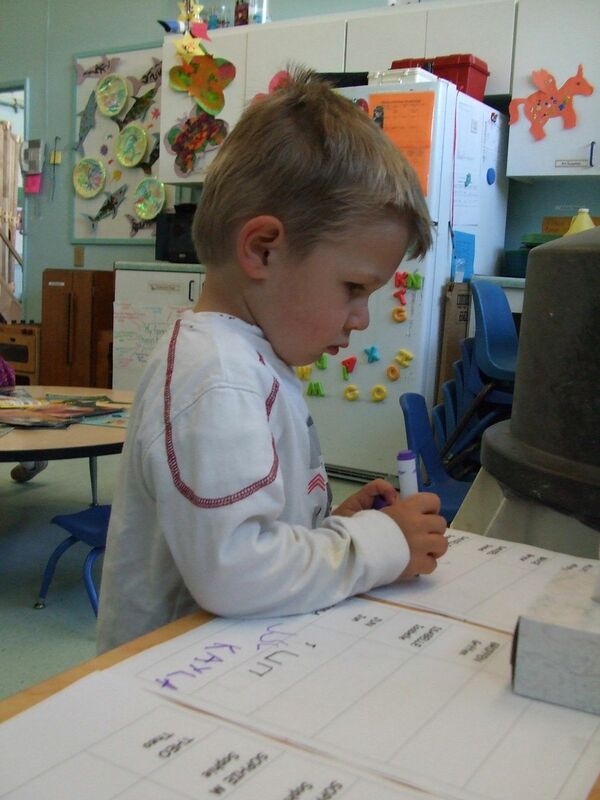 All of a sudden, Daniel understands and follows procedures such as brushing teeth before bed time, signing his name carefully at school or putting sun screen on. He abides without complaining. He has also made a lot of progress in getting dressed by himself and regularly helps with household chores or even making sure Charlotte doesn't get in trouble. Lately, even when he doesn't quite like what we ask from him, he will quickly respond "ok" (although reluctantly) and follow directions. What a change from a few weeks ago when we had to threaten time out to get him to do anything to help. When he is disappointed by something (for instance, the toy store being already closed when trying to go and buy the long-time promised airplane toy), he quickly processes it and goes back to his happy mood. No more tantrums! Wow... Is this too good to be true? At the same time, Daniel has started anticipating issues that have affected him in the past, and he is proactive in finding solutions. For instance, tonight, he specifically decided to watch a short TV program, so that he would have time for a long bedtime story. Previously, we had had to cut on bedtime stories when he watched TV too long. So he learned to ask how much time was left and to make the decision that worked for him. He also asks very detailed questions on a variety of topics, challenging our simple answers when he doesn't get the specifics he wants. The other day, he couldn't quite believe me when I explained that trees drink water from their roots. He understands that water naturally goes down and not up. So how could the water go up from the roots to the leaves? This was very intriguing to him. I continue to be amazed how much difference 2 years make. At almost one year, Charlotte is barely starting to learn about the world around her and to express very simple needs. 2 years ahead of her, her brother is able to carry a thoughtful discussion about pretty much anything, understand and process feelings and make thought-out decisions. I love listening to Daniel talk, and hearing all the thought process that goes on inside his head. And he talks a lot, all the time. I need to post a video some time. This might be my next post.